LOS ANGELES - Not many, if any, of the great music documentaries or concert films have ever screened in the exact location where they were shot: "Woodstock" did not show at Woodstock, and "Wattstax" did not premiere at the L.A. Coliseum, needless to say. 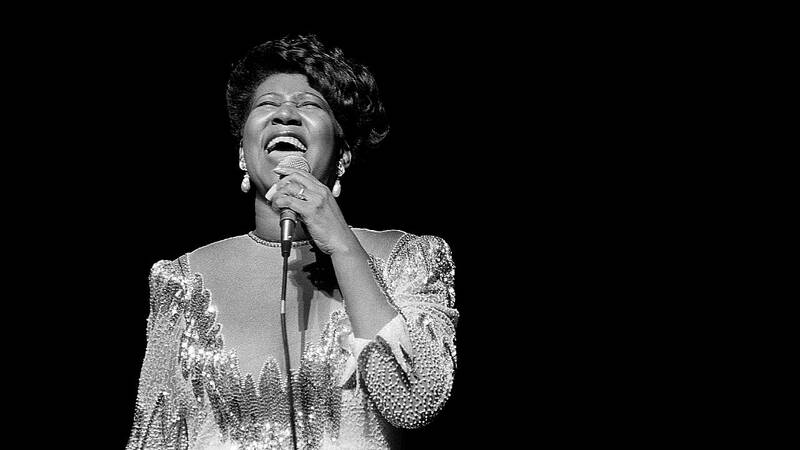 But Sunday night, "Amazing Grace" had its official southern California premiere right where the recording of Aretha Franklin's live gospel album and belated movie accompaniment went down in 1972: the New Temple Missionary Baptist Church in South Los Angeles. For many of a certain age and spiritual inclination in the African-American community, the album "Amazing Grace" -- said to be the biggest selling black gospel album of all time, and Franklin's highest seller to this day -- was so important, it was as important to them as "Rumours," "Frampton Comes Alive" or even "Thriller" eventually were to anyone else. And that was decades before anyone ever realized there was an unseen film attached. Another councilman, Herb Wesson, further commemorated the fresh tragedy. "It wouldn't be right if we were in a house of worship and we didn't show our ecumenical, interfaith respect," said Wesson. "The mark of civilization is how we treat the dead. And so just a moment of silence seems to me to be in order... to focus on the horrific challenge, the epidemic of gun violence, that continues to define too much of the space that we occupy, and I mean that broadly speaking. So let's bow our heads in a moment of silence in memory of Nipsey Hussle and all the others who are stricken with this scourge of gun violence."